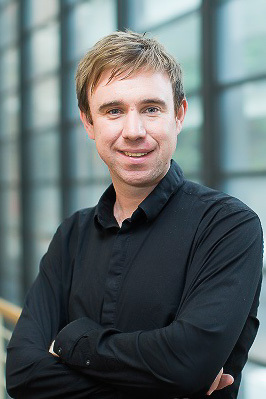 Brendan joined CHERE in January 2015 - he is currently a Senior Research Fellow. Prior to that he spent over five years working at the School of Health and Related Research, University of Sheffield, UK. His research interests include the development of both generic and condition specific preference based measures for use in economic evaluation, and the development and testing of new and innovative methods for valuing health. He is currently involved in the development of the EQ-5D-5L value set for England/UK, and is leading a large international study developing version 2 of the SF-6D (SF-6D-V2). He is also interested in developing non preference based measures of health and quality of life, and testing and comparing the psychometric performance of existing instruments using Item Response Theory methods. Previously he spent a number of years working as a health psychology researcher at the University of Leeds, UK, developing online interventions for alcohol use. He has a Batchelor of Science (Honours) in Psychology from the University of Wolverhampton, UK, and a Master of Research in Psychology from the University of Birmingham, UK. Brendan is currently completing his PhD at UTS. Project aims include the following: (i) to identify reported utility values associated with CP in children aged 18 years; (ii) to explore utility value elicitation techniques in published studies; and (iii) to examine performance of the measures and/or elicitation approaches.Peer-reviewed studies published prior to March 2017 were identified from six electronic databases. Construct validity, convergent validity, responsiveness, and reliability of instruments were assessed.Five studies met the inclusion criteria. Utility values of hypothetical general CP states obtained from a general population of parents ranged from 0.55 to 0.88 using time trade off (TTO) and 0.60-0.87 using standard gamble (SG) techniques. Utility values reported by clinicians of three hypothetical spastic quadriplegic CP states, using the Health Utility Index Mark 2 (HUI-2), ranged from 0.40 to 0.13. Other sources of utilities identified were based on both proxy and child ratings using Health Utility Index Mark 3 (HUI-3) (values ranged from -0.013 to 0.84 depending on the valuation source) and the Assessment of Quality of Life 4 Dimension instrument, with values ranging from 0.01 to 0.58. Construct validity of the HUI-3 varied from moderate to strong, whereas mixed results were found for convergent validity. Responsiveness and reliability were not reported.There was substantial variation in reported utilities. Indirect techniques (i.e. via multi-attribute utility instruments) were more frequently used than direct techniques (e.g. TTO, SG). Further research is required to improve the robustness of utility valuation of health-related quality of life in children with CP for use in economic evaluation. Discrete-choice experiments (DCEs) are used in the development of preference-based measure (PBM) value sets. There is considerable variation in the methodological approaches used to elicit preferences.Our objective was to carry out a structured review of DCE methods used for health state valuation.PubMed was searched until 31 May 2018 for published literature using DCEs for health state valuation. Search terms to describe DCEs, the process of valuation and preference-based instruments were developed. English language papers with any study population were included if they used DCEs to develop or directly inform the production of value sets for generic or condition-specific PBMs. Assessment of paper quality was guided by the recently developed Checklist for Reporting Valuation Studies. Data were extracted under six categories: general study information, choice task and study design, type of designed experiment, modelling and analysis methods, results and discussion.The literature search identified 1132 published papers, and 63 papers were included in the review. Paper quality was generally high. The study design and choice task formats varied considerably, and a wide range of modelling methods were employed to estimate value sets.This review of DCE methods used for developing value sets suggests some recurring limitations, areas of consensus and areas where further research is required. Methodological diversity means that the values should be seen as experimental, and users should understand the features of the value sets produced before applying them in decision making. In health state valuation studies, health states are typically presented as a series of sentences, each describing a health dimension and severity 'level'. Differences in the severity levels can be subtle, and confusion about which is 'worse' can lead to logically inconsistent valuation data. A solution could be to mimic the way patients self-report health, where the ordinal structure of levels is clear. We develop and test the feasibility of presenting EQ-5D-5L health states in the 'context' of the entire EQ-5D-5L descriptive system. An online two-arm discrete choice experiment was conducted in the UK (n = 993). Respondents were randomly allocated to a control (standard presentation) or 'context' arm. Each respondent completed 16 paired comparison tasks and feedback questions about the tasks. Differences across arms were assessed using regression analyses. Presenting health states 'in context' can significantly reduce the selection of logically dominated health states, particularly for labels 'severe' and 'extreme' (2 = 46.02, p < 0.001). Preferences differ significantly between arms (likelihood ratio statistic = 42.00, p < 0.05). Comparing conditional logit modeling results, coefficients are ordered as expected for both arms, but the magnitude of decrements between levels is larger for the context arm. Health state presentation is a key consideration in the design of valuation studies. Presenting health states 'in context' affects valuation data and reduces logical inconsistencies. Our results could have implications for other valuation tasks such as time trade-off, and for the valuation of other preference-based measures. A new version of the EQ5D, the EQ5D5L, is available. The aim of this study is to produce a value set to support use of EQ5D5L data in decisionmaking. The study design followed an international research protocol. Randomly selected members of the English general public completed 10 time tradeoff and 7 discrete choice experiment tasks in facetoface interviews. A 20parameter hybrid model was used to combine time tradeoff and discrete choice experiment data to generate values for the 3,125 EQ5D5L health states. Valuation data are available for 996 respondents. Face validity of the data has been demonstrated, with more severe health states generally given lower values. Problems with pain/discomfort and anxiety/depression received the greatest weight. Compared to the existing EQ5D3L value set, there are considerably fewer 'worse than dead' states (5.1%, compared with over one third), and the minimum value is higher. Values range from 0.285 (extreme problems on all dimensions) to 0.950 (for health states 11211 and 21111). Results have important implications for users of the EQ5D5L both in England and internationally. Qualityadjusted life year gains from interventions seeking to improve very poor health may be smaller using this value set and may previously have been overestimated. Value sets for the EQ5D5L are required to facilitate its use in estimating qualityadjusted life years. An international protocol has been developed to guide the collection of stated preference data for this purpose and has been used to generate EQ5D5L valuation data for England. The aim of this paper is report the innovative methods used for modelling those data to obtain a value set. Nine hundred and ninetysix members of the English general public completed time tradeoff (TTO) and discrete choice experiment (DCE) tasks. We estimate models, with and without interactions, using DCE data only, TTO data only, and TTO/DCE data combined. TTO data are interpreted as both left and right censored. Heteroskedasticity and preference heterogeneity between individuals are accounted for. We use Bayesian methods in the econometric analysis. The final model is chosen based on the deviance information criterion (DIC). Censoring and taking account of heteroskedasticity have important effects on parameter estimation. For DCE data only, TTO data only, and DCE/TTO data combined, models with parameters for all dimensions and levels perform best, as judged by the DIC. Taking account of heterogeneity improves fit, and the multinomial model reports the lowest DIC. This paper presents approaches that suit observed characteristics of EQ5D5L valuation data and recognise respondents' preference heterogeneity. The methods described are potentially relevant to other value set studies. To describe the use of a novel approach in health valuation of a discrete-choice experiment (DCE) including a cost attribute to value a recently developed classification system for measuring the quality-of-life impact (both health and treatment experience) of self-management for diabetes. A large online survey was conducted using DCE with cost on UK respondents from the general population (n = 1497) and individuals with diabetes (n = 405). The data were modeled using a conditional logit model with robust standard errors. The marginal rate of substitution was used to generate willingness-to-pay (WTP) estimates for every state defined by the classification system. Robustness of results was assessed by including interaction effects for household income. There were some logical inconsistencies and insignificant coefficients for the milder levels of some attributes. There were some differences in the rank ordering of different attributes for the general population and diabetic patients. The WTP to avoid the most severe state was £1118.53 per month for the general population and £2356.02 per month for the diabetic patient population. The results were largely robust. Health and self-management can be valued in a single classification system using DCE with cost. The marginal rate of substitution for key attributes can be used to inform cost-benefit analysis of self-management interventions in diabetes using results from clinical studies in which this new classification system has been applied. The method shows promise, but found large WTP estimates exceeding the cost levels used in the survey. Background. Discrete Choice Experiments including duration (DCETTO) can be used to generate utility values for health states from measures such as EQ-5D-5L. However, methodological issues concerning the optimum way to present choice sets remain. The aim of the present study was to test a range of task presentation approaches designed to support the DCETTO completion process. Methods. Four separate presentation approaches were developed to examine different task features including dimension level highlighting, and health state severity and duration level presentation. Choice sets included 2 EQ-5D-5L states paired with 1 of 4 duration levels, and a third 'immediate death' option. The same design, including 120 choice sets (developed using optimal methods), was employed across all approaches. The online survey was administered to a sample of the Australian population who completed 20 choice sets across 2 approaches. Conditional logit regression was used to assess model consistency, and scale parameter testing investigated poolability. Results. Overall 1,565 respondents completed the survey. Three approaches, using different dimension level highlighting techniques, produced mainly monotonic coefficients that resulted in a larger disutility as the severity level increased (excepting usual activities levels 2/3). The fourth approach, using a level indicator to present the severity levels, has slightly more non-monotonicity and produced larger ordered differences for the more severe dimension levels. Scale parameter testing suggested that the data cannot be pooled. Conclusions. The results provide information regarding how to present DCE tasks for health state valuation. The findings improve our understanding of the impact of different presentation approaches on valuation, and how DCE questions could be presented to be amenable to completion. However, it is unclear if the task presentation impacts online respondent engagement. Patients are in a unique position to provide insights regarding their health care management and to assess the quality of health care service delivery. Patient-reported experience measures (PREMs) capture patients' objective health care experiences of what actually happened, as opposed to satisfaction-based measures that aim to vindicate patients' expectations. This is in contrast to patient-reported outcome measures, which measure patients' views of their health status.1 Indeed, it was the Consumer Assessment of Healthcare Providers and Systems (CAHPS) Program that was initiated in the United States in 1995 that highlighted an important transition in assessing health care quality: moving away from measures of patient satisfaction to PREMs for the purposes of obtaining actionable, informed data regarding what actually happens during the provision of health care services. Norman, R, Mulhern, B, Viney, R, Bansback, N & Pearce, A 2016, 'The Impact of Duration on EQ5D5L Value Sets Derived from a Discrete Choice Experiment', Value in Health, vol. 19, no. 7, pp. A828-A828. Purpose: Dysmenorrhea refers to the experience of pelvic pain/cramps experienced by women around or during menstruation. A literature review indicated that no existing patient-reported outcome measure was adequate to support labeling claims in dysmenorrhea. Therefore, this study aimed to develop a new measure that could be used as a primary end point in dysmenorrhea clinical trials. Methods: Open-ended interviews were conducted with 52 dysmenorrhea patients, including a subset of 12 women with a comorbid pelvic pain condition (PPC). Verbatim transcripts were analyzed thematically. The findings were used to generate draft items for an electronic diary (eDiary). A further 24 dysmenorrhea patients pilot-tested the eDiary for 1-5 weeks and completed cognitive interviews to assess content validity. Revisions to the eDiary were implemented based on the findings. Results: In the first set of interviews, 51 women (98 %) spontaneously reported pain/cramps in or around the pelvic region (abdomen, lower back, legs/upper thighs, and vaginal area). Pain experiences reported were similar across dysmenorrhea and dysmenorrhea plus PPC subgroups, except that the pelvic pain among PPC patients occurred throughout the month, not only during menstruation. All participants described the detrimental impact of dysmenorrhea on health-related quality of life. Conclusions: The eDiary was conceptually comprehensive and easy to complete/understand during cognitive debriefing. The resulting nine-item diary included assessment of: menstrual bleeding severity; pain severity; use of analgesics; impact on work/school, physical activities, social and leisure activities, and sleep. Psychometric validation is ongoing and will assess the reliability, validity, and responsiveness of the eDiary as a comprehensive dysmenorrhea assessment. Devlin, N, Shah, K, Mulhern, B & van Hout, B 2015, 'A new valuation method: direct elicitation of personal utility functions for EQ-5D', Quality of Life Research, vol. 24, pp. 176-176. O'Gorman, H, Mulhern, B, Brazier, J & Rotherham, N 2014, 'COMPARING THE EQUIVALENCE OF EQ-5D-5L ACROSS DIFFERENT MODES OF ADMINISTRATION', VALUE IN HEALTH, vol. 17, no. 7, pp. A517-A517. Mulhern, B & Brazier, J 2014, 'Developing SF-6D-V2: The classification system', Quality of Life Research, vol. 23, pp. 49-49. AIMS: Utility values that can be used in the economic evaluation of treatments for epilepsy can be elicited from the general population and the patient population, but it is unclear how the health state values differ. The aim of this study is to compare the preferences of the general population and a sample of people with epilepsy for health states described by the NEWQOL-6D QALY measure. METHODS: The Time Trade Off preference elicitation technique was used to value eight NEWQOL-6D health states. The general population sample was recruited and interviewed in their homes, and the sample with epilepsy was recruited and interviewed in an epilepsy service in North West England. Descriptive analysis and regression modeling were used to compare health state values across the populations. RESULTS: A sample of 70 people with epilepsy and a sample of 60 members of the general population were included. The populations differed across a range of background characteristics, but there were limited differences between the health state values. Patients provided significantly higher (better) values for the most severe health state described by the NEWQOL-6D (p<0.01) and nonsignificant higher values for states with intermediate severity. The general population health state value was only higher for the best health state described by the NEWQOL-6D. CONCLUSIONS: The similarities in the patient and general population values for NEWQOL-6D health states suggest that the use of the general population utility weights for the estimation of QALYs in the economic evaluation of epilepsy interventions is appropriate and largely representative of patient preferences. There is interest in the use of discrete choice experiments that include a duration attribute (DCETTO) to generate health utility values, but questions remain on its feasibility in large health state descriptive systems. This study examines the stability of DCETTO to estimate health utility values from the five-level EQ-5D, an instrument with depicts 3125 different health states. Between January and March 2011, we administered 120 DCETTO tasks based on the five-level EQ-5D to a total of 1799 respondents in the UK (each completed 15 DCETTO tasks on-line). We compared models across different sample sizes and different total numbers of observations. We found the DCETTO coefficients were generally consistent, with high agreement between individual ordinal preferences and aggregate cardinal values. Keeping the DCE design and the total number of observations fixed, subsamples consisting of 10 tasks per respondent with an intermediate sized sample, and 15 tasks with a smaller sample provide similar results in comparison to the whole sample model. In conclusion, we find that the DCETTO is a feasible method for developing values for larger descriptive systems such as EQ-5D-5L, and find evidence supporting important design features for future valuation studies that use the DCETTO. BACKGROUND: Generic preference-based measures (EuroQoL-5D (EQ-5D) and SF-6D) are used in the economic evaluation of mental health interventions. However, there are inconsistent findings regarding their psychometric properties. AIMS: To investigate the psychometric properties of the EQ-5D and SF-6D in different mental health conditions, using seven existing data-sets. METHOD: The construct validity and responsiveness of the measures were assessed in comparison with condition-specific indicators. RESULTS: Evidence for construct validity and responsiveness in common mental health and personality disorders was found (correlations 0.22-0.64; effect sizes 0.37-1.24; standardised response means 0.45-1.31). There was some evidence for validity in schizophrenia (correlations 0.05-0.43), but responsiveness was unclear. CONCLUSIONS: EQ-5D and SF-6D can be used in the economic evaluation of interventions for common mental health problems with some confidence. In schizophrenia, a preference-based measure focused on the impact of mental health should be considered. OBJECTIVES: To evaluate the responsiveness of generic and mapped preference-based measures based on the anchor of global change in health condition of colorectal cancer (CRC) patients. STUDY DESIGN AND SETTING: A baseline sample of 333 Chinese CRC patients was recruited between September 2009 and July 2010 and was surveyed prospectively at 6-month follow-up. Preference-based indices were derived from the generic SF-6D measure (SF-6DDirect), from the Short Form-12 (SF-6DSF-12), and mapped from the condition-specific Functional Assessment of Cancer Therapy-Colorectal (SF-6DFACT-C). Responsiveness of three measures was assessed using standardized effect size, standardized response mean, responsiveness statistic, and receiver operating characteristic (ROC) curve analysis. RESULTS: The SF-6DSF-12 and SF-6DFACT-C indices were significantly more responsive to detect positive changes than the SF-6DDirect index in improved groups. In worsened group, the SF-6DDirect and SF-6DFACT-C indices showed significant decline from baseline to 6-month follow-up. The areas under the ROC curve for SF-6DDirect and SF-6DFACT-C indices were not statistically different from 0.7. The SF-6DFACT-C index was more responsive to changes in health status compared with other indices. CONCLUSION: Direct SF-6D measure was more responsive than mapped preference-based measures in improved group but the direction was reversed in worsened group. The use of a preference-based index mapped from a condition-specific measure captures both negative and positive important changes among CRC. methods was used to investigate the MID. estimate MID values for the EQ-5D and SF-6D. Type 1 and Type 2 patients with diabetes mellitus. Mulhern, BJ, Bjorner, J & Brazier, J 2015, 'Developing SF-6D-V2: examining the dimensionality of the SF-36 using large multinational datasets', ISPOR 20th Annual International Meeting, Philadelphia, USA. Brazier, J & Mulhern, BJ 2015, 'Preference methods', ISPOR 20th Annual International Meeting, Philadelphia, USA. Devlin, N, Shah, K, Mulhern, BJ & van Hout, B 2015, 'A new valuation method: direct eliciting personal utility functions for EQ-5D', EuroQol Group Plenary 2015, Krakow, Poland. Kreimeier, S, Cole, A, Devlin, N, Herdman, A, Mulhern, BJ, Oppe, M, Shah, K, Stolk, E, Ramos-Goñi, JM, Rivero-Arias, O & Greiner, W 2015, 'Comparing valuation of the EQ-5D-Y and the EQ-5D-3L: The impact of wording and perspective', EuroQol Group Plenary 2015, Krakow, Poland. Norman, R, Mulhern, BJ & Viney, R 2015, 'The impact of different approaches to anchoring utility scores within the EQ-5D', EuroQol Group Plenary 2015, Krakow, Poland. Shah, K, Mulhern, BJ, Longworth, L & Janssen, MF 2015, 'Important aspects of (full) health not captured by EQ-5D', EuroQol Group Plenary 2015, Krakow, Poland. Viney, R, Mulhern, BJ, Norman, R, Ratcliffe, J, Lorgelly, P, Lancsar, E & Brazier, J 2015, 'What is the impact of the order of EQ-5D-5L dimensions on health state values elicited using DCE with duration? ', EuroQol Group Plenary 2015, Krakow, Poland. Mulhern, BJ, Bansback, N, Norman, R & Brazier, J 2015, 'Developing SF-6Dv2 utility weights for the UK using a Discrete Choice Experiment with duration', International Academy of Health Preference Research, Brisbane. Mulhern, BJ, Bansback, N, Norman, R & Brazier, J 2015, 'Developing SF-6Dv2 utility weights for the UK using a Discrete Choice Experiment with duration', 37th Annual Australian Health Economics Society Conference, Brisbane. Mulhern, BJ & Brazier, J 2015, 'Developing SF-6Dv2: The UK value set', ISPOR European Congress, Milan, Italy. Mulhern, B & Brazier, JE 2014, 'Developing version 2 of the SF-6D: The health state classification system', QUALITY OF LIFE RESEARCH, SPRINGER, pp. 49-49. Mulhern, B, Shah, KK, Longworth, L & Janssen, MF 2015, 'Valuing EQ-5D-5L using TTO and DCE - Does dimension order impact on health state values? ', EuroQol Working Paper 15002.